In the cutest news we’ve shared in the past few weeks, two male red panda cubs are now romping through their habitat. These adorable twins were born earlier this spring on June 21, 2016, and like most den animals, spent the first few months of their life bonding with their mom away from the public eye. 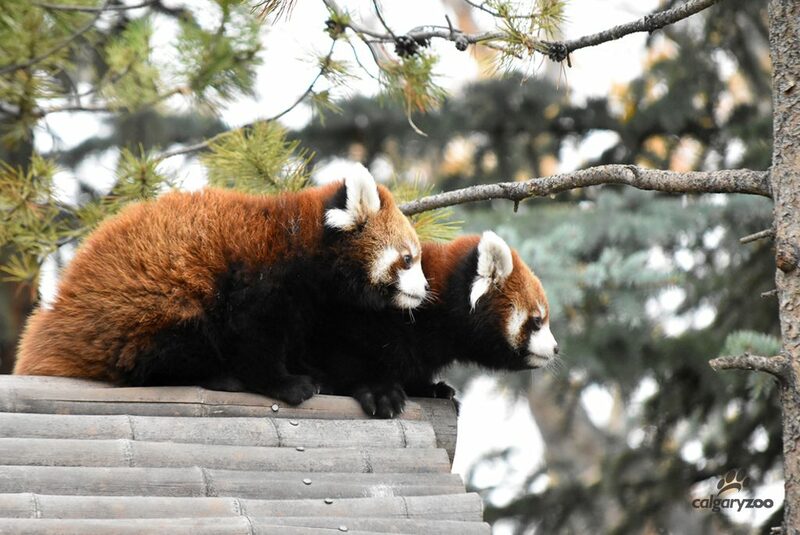 The two red panda cubs climb on the roof of their house for the first time. Now that the cubs are feeling brave enough to follow mom into the outside world, they are exploring the habitat. Learning to climb trees (going down is just as important as going up) and eat solid food are some of the lessons that mom Sakura is teaching them. 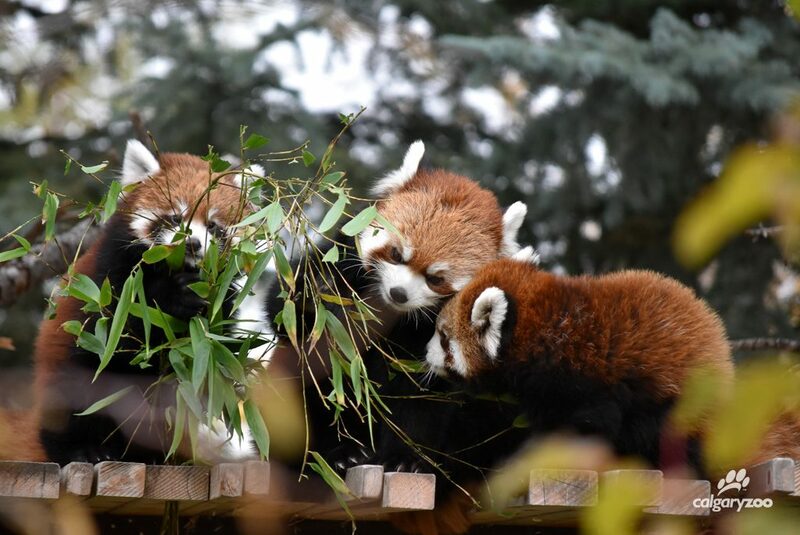 With only 53 red pandas of their subspecies in the North American captive population, the successful births of these cubs play a major role in the conservation of their species. At three months old, these two have boosted the captive population of their subspecies by a remarkable 4 per cent. The boys are just starting to eat solid food, and watching mom Sakura (middle) is a great way to learn. Red pandas are also a part of the Species Survival Plan (SSP) to help ensure genetic diversity in the captive pool for this at-risk species. 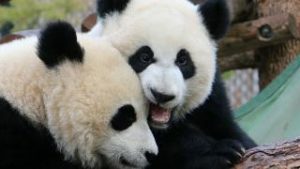 These animals are currently listed as endangered on the IUCN Red List, and with fewer than 10,000 in the wild, are facing decreasing population numbers due to habitat loss and degradation. says Matt Korhonen, Curator, Eurasia, Calgary Zoo. Red panda cubs are born a much lighter strawberry blonde colour, and grow into their famous red brown coats. 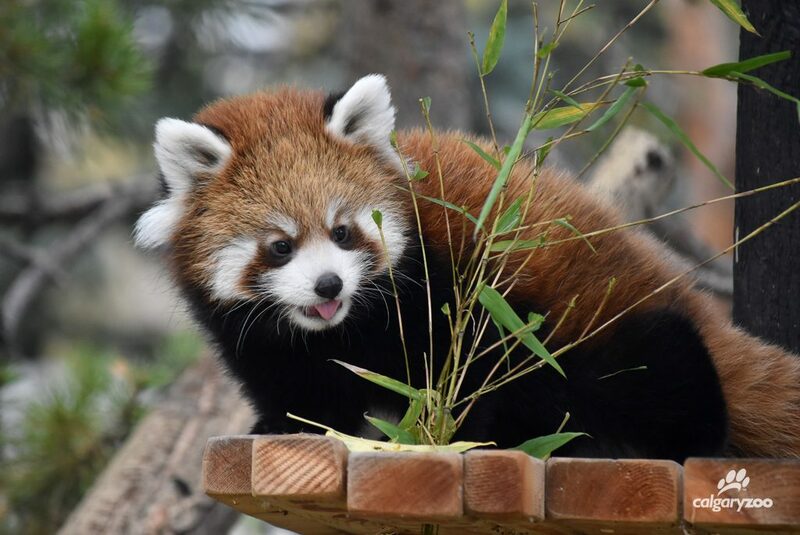 Now that the boys are out in the habitat they will soon be introduced to their dad, Dusk, and all four red pandas will be visible to public in the main habitat. We recommend patience when you’re visiting this adorable family- the young twins are still very shy and like peek out from behind bushes and trees. Update: thanks to everyone who voted in our red panda twin naming poll– the clear winner with 874/1619 votes was Khairo and Chiya (chee-ya), meaning ‘brown’ and ‘tea’!